What kind of experience do I need? Technically- none, but some is better than none. If you have never been on track before, you may want to get to a Track Night event before you do this just so that you are not overwhelmed with learning it all. Just so happens, there is one on April 24th. And, the general car control you learn from autocross, karting or Rallycross will help with comfort, too. So, if you are a true novice, getting to a few events between now and then is a good idea, but not required. Will I be on track with people who are a ton more experienced than me? We run these events similar to a Track Night, where we group people by their experience and comfort level so you will be with people who are at your pace and development, be it novices or seasoned track drivers. What if I just want to check it out? Awesome- we have an open gate policy for people who just want to see what it’s all about. Want to help out? Even better- workers get meals, a t-shirt and a gas card for helping, we can use help on corners, pit, grid or anywhere you want to pitch in. If interested, get signed up here. Are there instructors? We will have coaches on site to help with questions, tips and advice and to ensure your experience is best possible. If you are looking for a bit more, we have two partners that can help you day of the event- you can get in-event video analysis and coaching from our friends at Racers360 or get your feedback in real time with the digital driver coaching from ApexPro -Check ’em out. Wait, in my street car? Can I get insurance? 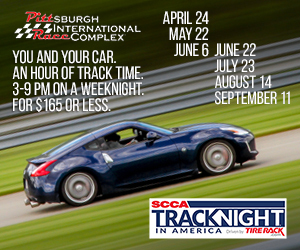 Absolutely- SCCA Time Trials National Tour events are approved for on-track insurance from Hagerty. It takes just seconds to get a quote and you can have your policy set up in under 5 minutes. To get your quote, visit Hagerty’s Track Insurance page. It’s always a good idea to check the specific safety rules to make sure you are covered, or send me what you have an I will let you know. What class am I in, anyway? Great question. You can go to the Class My Car page and follow the steps to learn where your car is classed. If you aren’t seeing it, I’m happy to help. Don’t get to stressed about it, though. We will have some prizes for the class winners, but the event focus is much more about you challenging yourself, developing skills and having #funwithcars. This entry was posted in Region News by eprodracer. Bookmark the permalink.